PRINCE HARRY and Meghan Markle have announced their engagement and will marry early next year. Prince Harry has informed the Queen and other members of the Royal Family, according to Clarence House. The wedding will take place in Spring next year after the couple became engaged in London earlier this month. 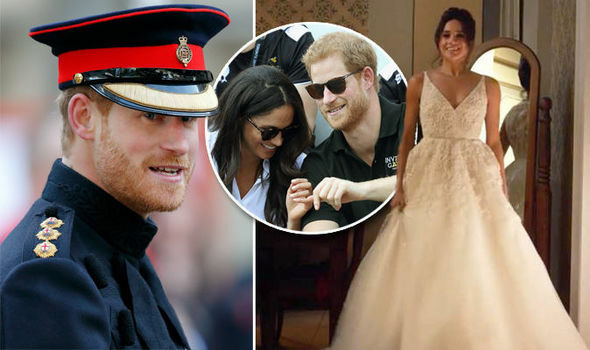 The couple confirmed they have moved into Nottingham Cottage at Kensington Palace. A “delighted” Prince Charles confirmed the news and Prince Harry is said to have the “blessing” of Meghan Markle‘s parents. The announcement means that Meghan is to become the Duchess of Sussex, or alternatively she could reject the title and become ‘Princess Meghan’. The much-anticipated news was confirmed by the Prince of Wales in a brief statement issued by Clarence House. It read: “His Royal Highness the Prince of Wales is delighted to announce the engagement of Prince Harry to Ms Meghan Markle.